Although in our society it has gained cosmetic importance, hair on the head and entire body is one of the distinguishing characteristics of mammals. The main functions of hair are to regulate body temperature by facilitating evaporation of sweat in hot weather, and create additional insulation by closing the skin pores in cold weather. Despite its important function, the hair shaft itself is not living tissue. Tiny blood vessels at the base of every hair follicle feed the hair root to keep it growing. Yet, the hair we see on the body contains only dead cells. As the new cells grow at the base of the hair follicle, the older cells die and are forced along the follicle towards the scalp. It is normal to shed approximately 100 to 150 hairs a day. Hair is made of a protein called keratin, and hair color is determined by the presence of melanin secreted by pigment cells. As we age, these pigment cells die and the hair turns gray. Healthy hair is not only important for looks, but the health of our hair may indicate certain underlying physical or psychological health conditions as well. Diseases of the thyroid gland, especially hypothyroidism, can lead to lusterless, limp, fine, and thinning hair. Disorders of the adrenal glands, such as Cushing’s syndrome, can create dry, brittle hair. Psoriasis, an autoimmune disease, can create thick crusty patches on the head which can initially be confused with dandruff. Another autoimmune disease affecting only the hair is alopecia. With alopecia the body’s immune response targets hair follicles, causing round patches of hair to fall out. Sometimes diabetes and atherosclerosis may trigger hair loss due to blockage of the blood supply to hair follicles. Approximately 20,000 people are affected by alopecia every year in the US, and there is no specific treatment for it unless an underlying cause can be identified. Additionally, many prescription drugs can also cause hair loss. These include chemotherapy drugs, beta blockers such as propranolol and atenolol, anticoagulants like warfarin, and many drugs used to control arthritis, Parkinson’s disease, and other conditions. Hair damage caused by chemicals in hair products is another major contributor to hair loss. A healthy diet and lifestyle are the easiest ways to maintain beautiful hair. Nutrients such as omega-3 fatty acids, proteins, almost all of the B vitamins, folic acid, zinc, and vitamins C and E are important for strong, shiny, and healthy hair. Vitamin C in synergy with the amino acids lysine and proline helps build healthy collagen. Collagen is the most abundant protein present in our body and comprises approximately one-third of our body including the skin, hair, and nails. 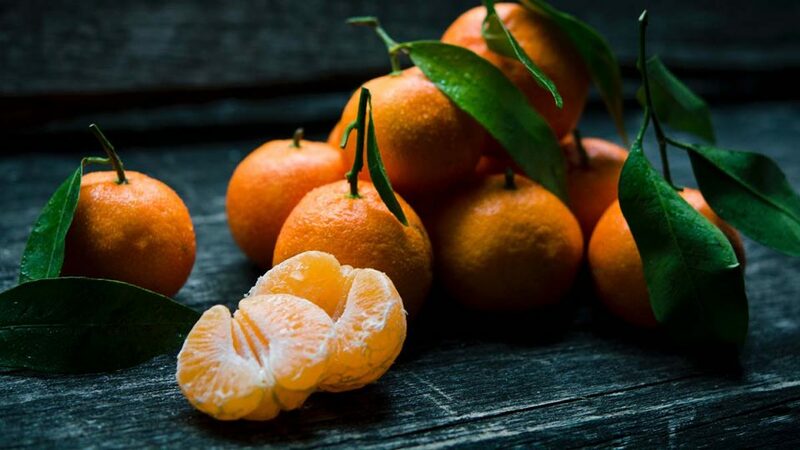 Vitamin C helps protect the hair against damage caused by free radicals, which can make hair brittle and frail. We conducted a study1 using a synergistic mixture of micronutrients, which included vitamin C, lysine, proline, and others, to assess their effects on hair growth in a group of mice that are prone to hair loss very similar to humans. The mice were divided into three groups and treated with olive oil, which was applied to the shaved skin of the animals. While groups 1 and 3 received simple olive oil, the oil for the second group was mixed with the above-mentioned micronutrient combination. The Dr. Rath research team noticed that the hair growth in the group that received the olive oil containing the micronutrients was much stronger compared to the other two experimental groups. Many commercially available hair growth products are loaded with chemicals that can damage hair and general health. 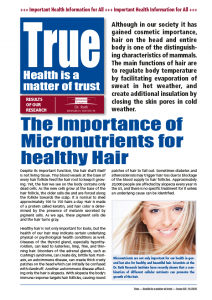 However, the micronutrients are significantly better to obtain and maintain healthy hair. When choosing products for yourself and your family, look for those that are formulated with ingredients that are healthful rather than harmful.